American director and choreographer Jerome Robbins was equally renowned for his work in musical theater and ballet and made auspicious debuts in both fields in 1944. On April 18, Ballet Theater (now American Ballet Theater) presented the world premiere of Fancy Free, which followed the exploits of three sailors on shore leave in New York. That ballet became the springboard for On the Town, a musical comedy which premiered eight months later and featured choreography by Robbins. Over the next 20 years, Robbins choreographed and/or directed 15 other musicals and "show doctored" five more. A partial list of his Broadway credits includes High Button Shoes (1947), The King and I (1951), Pajama Game (1954), Peter Pan (1954), Bells Are Ringing (1956), West Side Story (1957), Gypsy (1959), and Fiddler on the Roof (1964). During and after the years he was active on Broadway he also earned a reputation as the greatest classical choreographer born in the United States. Working mostly with the New York City Ballet, he choreographed 61 ballets through 1989. Among his finest were Interplay (1945), The Cage (1951), Afternoon of a Faun (1953), The Concert (1956), Dances at a Gathering (1969), The Goldberg Variations (1971), In G Major (1975), Other Dances (1976), The Four Seasons (1979), Glass Pieces (1983), and Ives, Songs (1988). Robbins was born Jerome Rabinowitz in New York on October 11, 1918, to Russian Jewish parents who came to America to flee the pogroms. He grew up in Weehawken, New Jersey, and was in his late teens when he began studying at the Sandor-Sorel Dance Center in Brooklyn. He later took lessons in modern, Spanish, and Oriental dance. Between 1937 and 1940 Robbins appeared in the chorus of four Broadway musicals and also danced at Camp Tamiment, a summer resort for adults where revues were staged by aspiring performers. It was there that he had his first opportunity to choreograph. In 1940 he joined the newly created Ballet Theater as a dancer and studied with the choreographers Antony Tudor and Eugene Loring. Ballet Theater had a particular penchant for Russian ballets— Robbins often said that he spent a good deal of time in "boots, bloomers and a peasant wig"—and Fancy Free was, in part, a reaction to that repertoire. The ballet—in which Robbins danced "the rumba" sailor—was set to a commissioned score by the relatively unknown Leonard Bernstein and was an instant masterpiece. It was not just the jazz inflections or familiar, everyday gestures incorporated into the choreography that made the piece special. A ballet portraying contemporary American characters behaving in contemporary American fashion was virtually unheard of at the time, and wartime audiences recognized the people onstage at once. Robbins then took his choreographic talents to Broadway with similar success. On the Town marked the first time that dance had been so fully integrated into a Broadway show, prompting one critic to suggest that it be called "a ballet comedy instead of a musical comedy." For the next few years Robbins divided his time between Broadway and ballet. His choreography was singled out as the high point of Billion Dollar Baby (1946); High Button Shoes (1947); Look Ma, I'm Dancin' (1948), which he co-directed with George Abbott; Miss Liberty (1949); and Call Me Madam (1950). High Button Shoes earned him his first Tony award. In 1949 George Balanchine invited Robbins to join the New York City Ballet as dancer, choreographer, and associate artistic director. During the next decade he created ten ballets for the company, and his moody, evocative dances were a wonderful contrast to Balanchine's plotless neoclassicism. In 1951 Robbins choreographed Rodgers and Hammerstein's The King and I, the most sophisticated Broadway show of which he had thus far been a part. But the show that would forever cement his reputation as one of the most important figures in the history of Broadway was West Side Story, which opened in 1957 and continued to have an impact on the course of musical theater into the 1990s. This modern, updated Romeo and Juliet saga was the first musical conceived, choreographed, and directed by one man. It marked the culmination of many innovations that originally appeared in On the Town and earned Robbins his second Tony award for choreography. In 1959 Robbins directed and choreographed Gypsy, another theatrical landmark. That same year he left City Ballet to devote his energies to his own company, Ballets: USA, which was formed in 1958 and disbanded in 1961. Among the works that came out of Ballets: USA was Moves (1959), a startling experiment in that it is performed without music. It was added to the repertory of City Ballet. Robbins was back on Broadway with two shows in 1964. He was production supervisor on Funny Girl and director and choreographer of Fiddler on the Roof. Fiddler won nine Tony awards, with Robbins winning for both direction and choreography. It was Robbins who saw the universality in this simple tale about a milkman wrestling with his religious beliefs. He envisioned a work that depicted the dissolution of a community, which inspired lyricist Sheldon Harnick and composer Jerry Bock to write "Tradition," the song that informs the entire musical. Two years after Fiddler, Robbins established the American Theater Laboratory, an experimental workshop designed to explore theater forms involving dance, song, and speech. It lasted through 1968, but none of the work done by the group developed into a project that was seen by the public. Among those to participate was Robert Wilson, who later became known for his avant-garde creations. Robbins won a Best Director Oscar for his work on the film version of West Side Story (1961) and also received a special Academy Award for his choreography. His work on the telecast of Peter Pan (1955) earned him an Emmy. In 1969 Robbins returned to City Ballet as one of the company's ballet masters. The first work he choreographed was the hour-long Dances at a Gathering, which is set to various Chopin piano pieces and is regarded by many as his finest ballet. Ten dancers perform in various combinations—solos, duets, trios, quartets, and onward— expressing a range of moods and emotions, all the while suggesting a sense of community. The variety of the choreography is remarkable, and one critic called the piece "a celebration of dance." Robbins was particularly productive during the 1970s, during which time he choreographed more than 20 pieces for City Ballet, including The Goldberg Variations (1971), a 90-minute exploration of the famous Bach score, and Watermill (1972), which borrows freely from Eastern theater techniques and elevates stillness to an art form. In 1976, for a non-City Ballet gala, he choreographed Other Dances— another Chopin ballet—for Mikhail Baryshnikov and Natalia Makarova. After Baryshnikov joined City Ballet for a year beginning in 1979, Robbins went on to choreograph two more works for him: Opus 19, "The Dreamer," and The Four Seasons, in which Baryshnikov danced the fall section. In the 1980s Robbins continued to expand his vision. Robbins was the recipient of a Kennedy Center Honor in 1981. In 1983 he was named co-ballet master-in-chief of City Ballet (with Peter Martins), shortly before Balanchine's death. Robbins' ballet Ives, Songs premiered several months before his 70th birthday in 1988 and poignantly depicted a man looking back at his life. That same year Robbins literally delved into his past: He went to work recreating and reconstructing some of the highlights from his 20 years in musical theater for archival purposes and wound up creating a new show, Jerome Robbins' Broadway. The musical opened in February 1989, marked Robbins' return to Broadway after a 25-year absence, and earned him his fifth Tony award. Robbins retired from City Ballet in 1990, but continued his creative pursuits. In 1994 he premiered A Suite of Dances, a solo work performed by Mikhail Baryshnikov set to music from Bach's unaccompanied suites. That same year the School of American Ballet premiered his 2 + 3 Inventions, another dance set to the music of Bach. The next January (1995) a major work by Robbins, Brandenburg, was preformed by the City Ballet. Brandenburg was described by critic Terry Teachout as the "missing link in Robbins's output." Throughout his career Robbins combined theatrical savvy with an unerring sense of movement to create potent, moving panoramas. The diversity of his work is astonishing, but if there is one thread linking much of his art, it is his repeated exploration of community. His ballets have been danced by many of the world's major companies, including American Ballet Theater, Dance Theater of Harlem, Joffrey Ballet, Royal Danish Ballet, England's Royal Ballet, Paris Opera Ballet, National Ballet of Canada, San Francisco Ballet, and Australian Ballet. 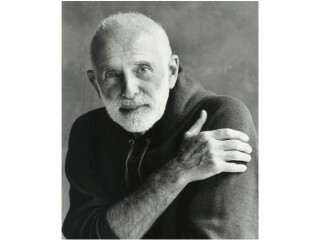 View the full website biography of Jerome Robbins.